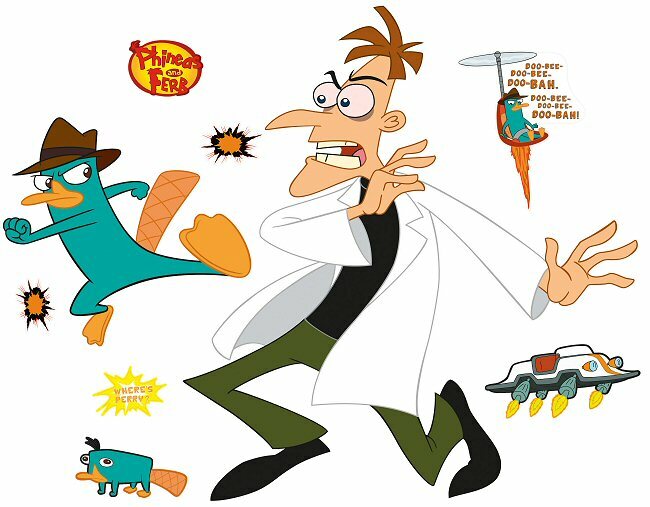 Phineas & Ferb have nothing to fear from Dr. Doofenshmirtz with Agent P on the job! Bring the fun-loving spirit of Phineas & Ferb right to your walls with this larger-than-life Agent P & Dr. Doofenshmirtz giant wall decal set. 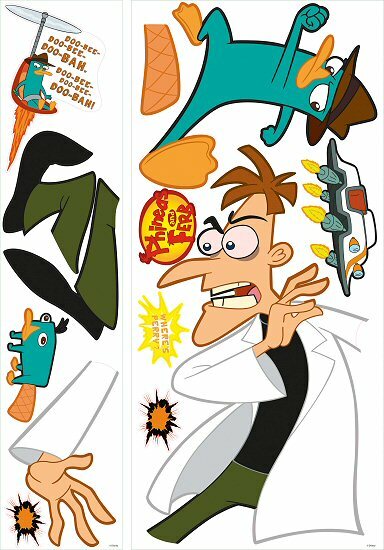 Featuring fun accents, including Agent P's alter ego Perry, these fun-to-use RoomMates peel and stick Phineas & Ferb Agent P & Dr. Doofenshmirtz giant wall decals will make it a breeze to transform the look of any room in just minutes. 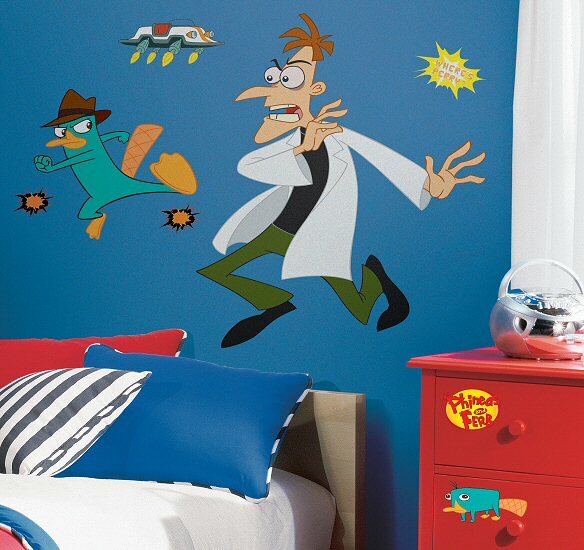 Our Phineas & Ferb Agent P & Dr. Doofenshmirtz peel and stick giant wall decals (also known as peel and stick murals) are repositionable, removable, re-usable, and washable... the perfect combination for decorating the bedrooms and playrooms of kids. This RoomMates Phineas & Ferb Agent P & Dr. Doofenshmirtz repositionable giant wall decals set offers decorating ease with no damage or residue to the surface.